By Simon Brown, December 12, 2008 in Plugins - Publishing ONLY! Many people have expressed their dislike with the Paint.NET printing interface, so I have written a plugin that allows images to be printed using a similar interface to MS Paint. 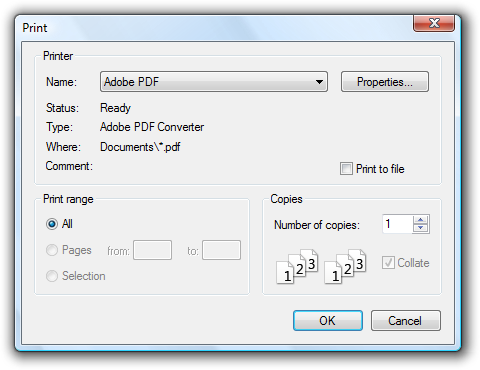 To print something out using this plugin, merge all layers then click Effects -> Tools -> Printer+. Wow. What a neat idea! Fixed (presuming that was a reference to the fact that the download link was hard to find). Thank you! I always had troubles printing strangely sized pics, had to go to MSPaint. Actually, I was referring to the fact that your plugin ROCKS!!! Nice! but it is just one problem.. Thank you for taking the time to create this plugin. Although I do appreciate all the time and effort the authors of Paint.NET, and after reading so of their posts on the subject that it was done for the sack of pre-existing options available to shorten the code develop time, the Print Wizard is too inflexible for a lot of printing applications, and so thanks again for your efforts. 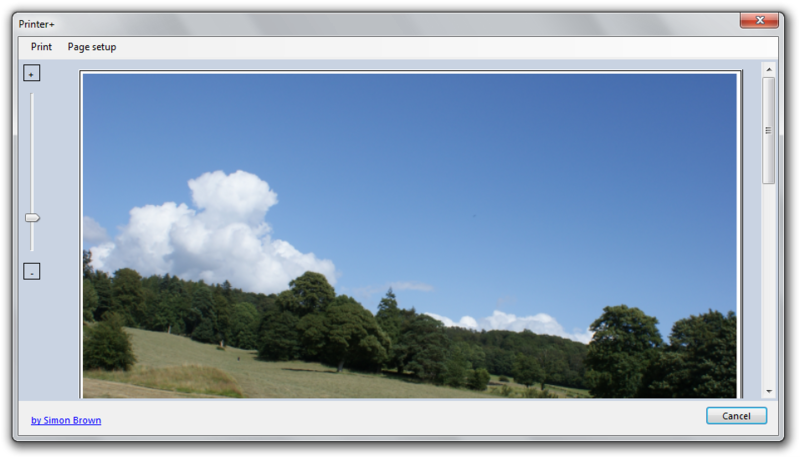 Wow, a printer feature that prints the whole image - unlike the Windows 'dumb' wizard which always seems to trucate my images. Is my printer weird or something? This plugin does exactly NOTHING for me. The zoom on the left-hand side changes the size of the picture on the screen, but the printed picture comes out exactly the same size. 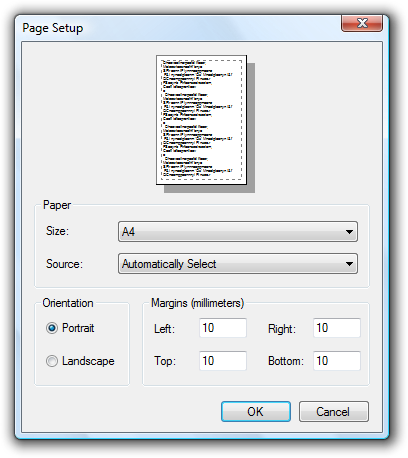 If I click the page setup button and change the margins, the picture re-sizes on the page, but I can do that easy enough by just re-sizing the canvas. What I want to do is specify that a jpg that is 600 pixels by 300 pixels be printed at 300dpi and have the image come out 2" by 1". I have not been able to figure out how to do that. Every other printing program I know of can do that, but not paint.net. Why? My printer is a HP Photosmart premium, purchased about 3 years ago. I'm running Win8.1 on a custom built desktop with more than enough power for a simple printing job. I think I understand DPI and resolution; I certainly understand how to make PSP do anything I want it to, but sometimes I'd like a lighter app. For everything except printing, paint.net is great.